Kuching is home to one of the largest and best traditional music festival in the Asia, the Rainforest World Music Festival (RWMF). ThIs award winning festival itself attracts not less than 20,000 music lovers from across the globe with a ratio of 65% being foreign tourist. The gem of the festival is the unique jams held during the workshops, and this festival is regarded as a must go by many. Here, music lovers get to be involve with the performers as they dance, sing and sometimes even play instruments used during the whole 3 day fest. If you are looking for an excuse to party hard, the Rainforest World Music Festival is definitely the place, although the best part of the whole three day event comes from the workshops held during the day. 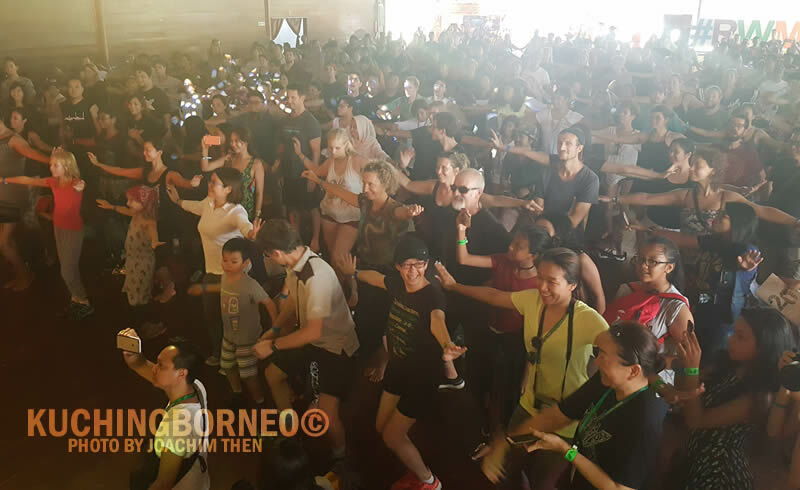 Realizing this, organizers pumped up the number of such workshops during the 20th anniversary of the Rainforest World Music Festival, delighting many regulars to the festival. These workshops usually end with impromptu jams that can send goosebumps to the audiences, but that’s not before the many interactive activities which encourage dancing, clapping, singing and even drumming. Not exactly that sort of person? Well, just observing the crowd go wild during the workshops is also exciting. The increase number of workshops has however made it almost impossible for anyone to attend all, ensuring you’d want to come back again the following year. There’s also a lot of delicious food available with Sarawak Dayak food being the highlights at these food bazaar. The food would be slightly higher priced that the ones you find outside, but that is largely expected since outside food and drinks is forbidden in the venue. Also, the crafts bazaar has also been a regular feature in the Rainforest World Music Festival, allowing you to pick and choose unique momentos to carry home. At night, a massive concerts involving two purpose built stages would start at around 7PM. Invited artist from all over the world would showcase their music to the excited thousands with the rain likely to thrill the crowd even more as music fills the rainforest. WHEN & WHERE DOES THE RAINFOREST WORLD MUSIC FESTIVAL HAPPEN? The Rainforest World Music Festival is usually held annually, during the second week of July. However, sometimes the festival dates will be shifted to accommodate special events such as the Ramadan month. Held at the foot of mystical Mount Santubong, within the compounds of the Sarawak Cultural Village, the Rainforest World Music Festival begins at 10AM, and it usually wraps up by midnight during the three days. 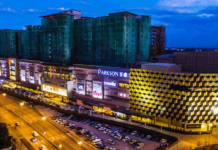 Due to the limited number of parking, organizers (The Sarawak Tourim Board – STB) normally prepare a shuttle bus to the event from popular hotels in Kuching City. However, if you insist on driving, STB has made it a point that you will still have to take a shuttle van from a nearby resort some 2km from the venue. The road heading toward the venue will be closed to public during the festival. Walking to the venue from Kuching City is strictly not advised as it is far, but if you stay at these hotels we recommend (which are nearby the venue), you can consider walking. For those driving, the map to the Sarawak Cultural Village can be seen below. Parking at the Rainforest World Music Festival is a known issue during every edition. There will be two check points to assist and manage illegal parking and monitor traffic flows; one at Santubong Resort and the other at the venue pick up point. Both check points are manned by the traffic police and officers operating in shift. Illegal parking at the Rainforest World Music Festival will not be tolerated and there will be a tow truck on site to remove illegally parked vehicles that hinders traffic flow to and from the festival venue. Towed cars will be brought to the roundabout heading towards Damai Beach Resort and at the Sarawak Cultural Village where owners can claim and pay the towing bill. Festival goers are advised to park their vehicles at the road leading to One Hotel Santubong, where they will be charged a parking fee. HOW MUCH DOES IT COST TO GO TO THE RWMF? Tickets to the RWMF used to be only RM30/person, but it has since increased. In 2014, the entrance fee was RM110/person, and the price has been retained ever since. Early birds do get discounts nonetheless. 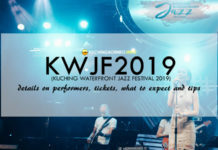 Though years past, the RWMF remain one of Kuching’s (and Malaysia’s) biggest music festival with those intending to come advised to book their hotels in Kuching a few months in advance. WHERE TO BUY RWMF TICKETS? 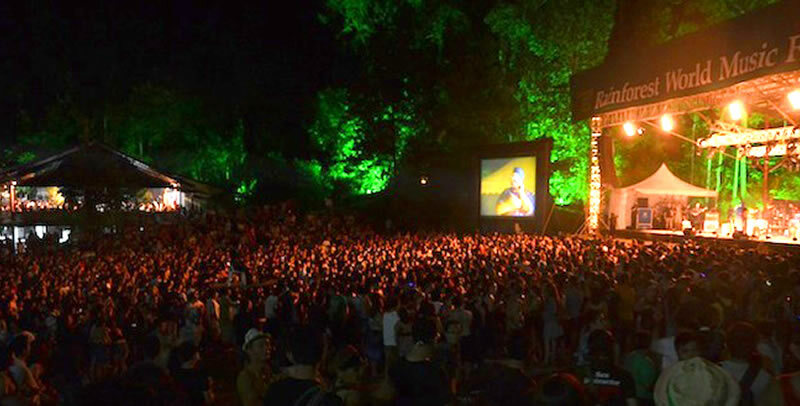 The organizers of the RWMF usually create pop-up events to sell tickets as the festival draws near. However, sales of tickets have been centralized online at the the official website. 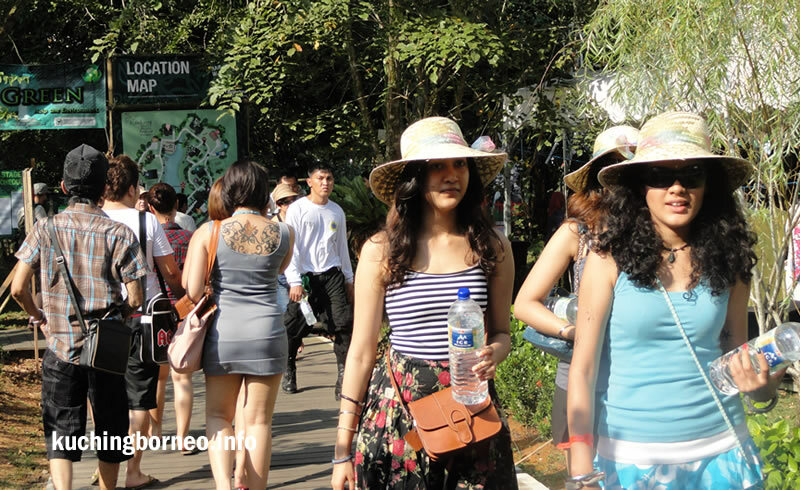 So, okay, you have decided to go to the Rainforest World Music Festival. What now? Well, if you ask me what’s next, then it would be reading my tips about going to the RWMF below. Of, if you still have not decided if you want to go, read on about the little things that made the Rainforest World Music Festival awesome.